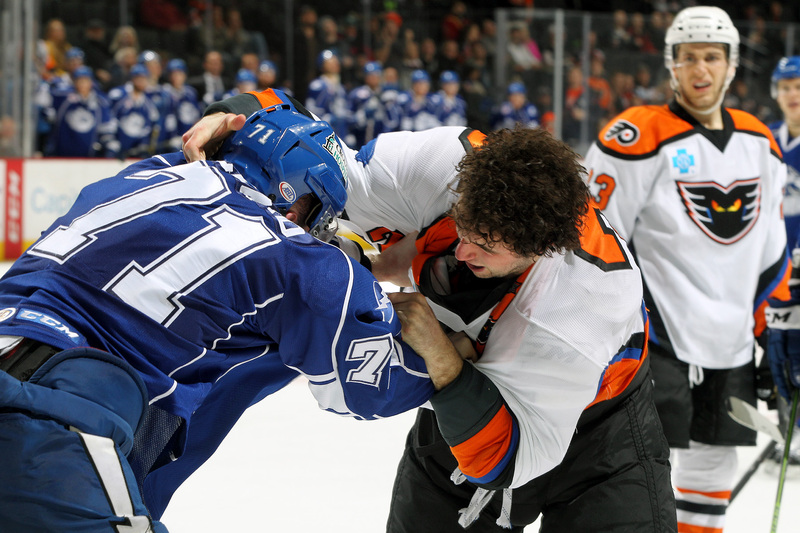 Lehigh Valley, PA – In a chippy, physical affair that featured 91 combined penalty minutes, the Syracuse Crunch topped the Lehigh Valley Phantoms 6-1 Wednesday evening in front of 8,197 fans at PPL Center. The rough and tumble tilt boasted three fights, including two from Phantoms’ All-Star Brandon Manning, as the Phantoms skated in front of their seventh consecutive crowd to feature more than 8,000 supporters. With the setback, Lehigh Valley moved to 29-28-6-1 overall this season and remains in sole possession of third place in the East Division. The Phantoms are still 10 standings point back of Springfield for the eighth and final playoff spot in the Eastern Conference with two games-in-hand on the Falcons. Blair Jones tallied his seventh goal of the season for Lehigh Valley and his second in four contests since returning to the lineup after missing 24 games with a lower-body injury. Adam Comrie and Andrew Gordon garnered assists as Comrie produced his seventh point over the last eight games. The Phantoms also continued their solid work on the penalty kill Wednesday evening as Lehigh Valley went a perfect 5-for-5 when skating a man short. The Phantoms have now allowed just five power play goals against over the last 12 games and have surrendered just one man-advantage marker in the last six outings at PPL Center. Jonathan Marchessault led the offensive effort for Syracuse with two goals while Justin Courtnall and Ryan Martindale chipped in a goal and an assist each. Kristers Gudlevskis earned the victory between the pipes for the Crunch with 27 saves on 28 Phantoms shots while Rob Zepp and Anthony Stolarz combined for 26 saves on 32 total Syracuse bids. Syracuse opened the scoring just past the midway point of the first period when, in the midst of a Lehigh Valley power play, Joey Mormina’s left wing offering received a fortuitous redirection off Mark Alt’s skate atop the Phantoms’ crease before rolling over the goal line. Cody Kunyk grabbed the only assist on the shorthanded marker netted 11:46 into the opening frame. 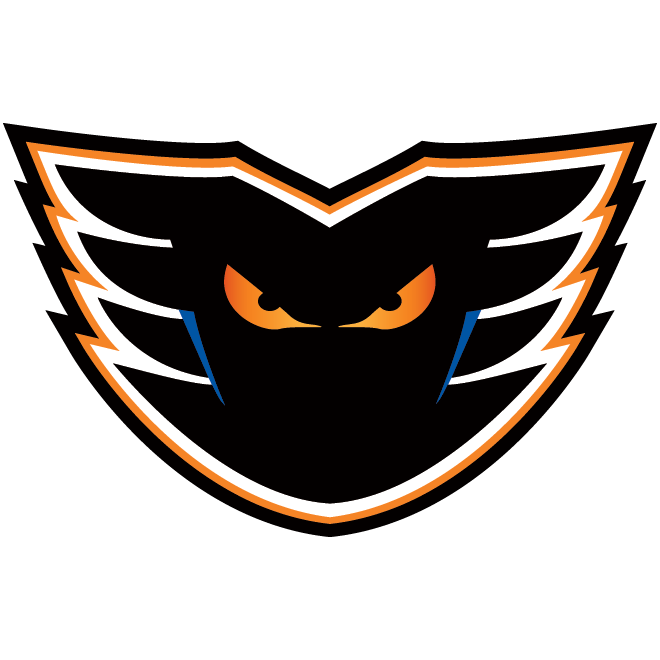 The Phantoms quickly responded with some pressure of their own though, which included a breakaway for Petr Straka in the latter stages of the opening stanza that was just turned away by the outstretched pad of Gudlevskis. Lehigh Valley then received some good old fashioned puck luck of its own early in the second period when a wraparound chance by Marchessault slid straight across the entirety of the Phantoms goal line preserving the one-goal difference. With the Phantoms down by just a single goal, Brett Hextall sparked some energy into both his teammates and the crowd when he dropped the gloves with the Crunch’s Jean-Philippe Cote a little over six minutes into the middle stanza. Hextall got in several solid swats before the linesmen intervened but continued to rev the PPL Center crowd pumping his arms on his way to the penalty box. The scrap ignited some instant Lehigh Valley attack time as the Phantoms pressured Syracuse with a punishing forecheck in the very next shift. The sustained offensive pressure culminated with a sizzling wrist shot from Scott Laughton on the left wing that rang off the outside of the Crunch goal post. The bad breaks continued for Lehigh Valley as just moments after hitting the post, Marchessault cruised back the other way and delivered a snap shot from the slot that was blocked by Adam Comrie but the stunned defender couldn’t recover in time to prevent Marchessault from gathering the loose disc and sending in his 20th goal of the season. The unassisted even strength strike came 8:45 into the second period. Syracuse increased its lead to a 3-0 advantage just over two minutes later when a wrist shot from the left wing by Slater Koekkoek found daylight over Zepp’s outstretched glove. Martindale and Yanni Gourde assisted on Koekkoek’s fifth conversion of the year. The Crunch were able to add three more tallies in the opening eight and a half minutes of the third period before the Phantoms were able to negate Gudlevskis’ shutout bid. Syracuse landed its second shorthanded goal of the game 2:19 into the final period when Marchessault notched his second goal of the night and 21st of the year. Courtnall landed his seventh goal of the season a little over two minutes later and Martindale capped the Crunch’s night with his 11th goal of the year 8:12 into the final frame. 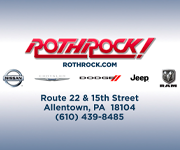 Lehigh Valley was able to dent the score sheet 9:22 into the third period when Jones unleashed a cannonating drive from the high slot while on the power play that overwhelmed Gudlevskis. 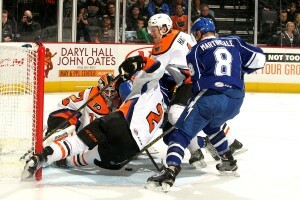 The Phantoms finished the night 1-for-6 on the man advantage but were out shot 32-28 through the 60-minute affair. 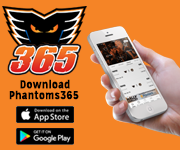 The Phantoms play the third game of their four-game home stand this Saturday, March 28th when Lehigh Valley welcomes the rival Wilkes-Barre/Scranton Penguins back to PPL Center. Saturday’s game is Faith Night with a post-game concert featuring best-selling Christian rock and worship band Kutless. 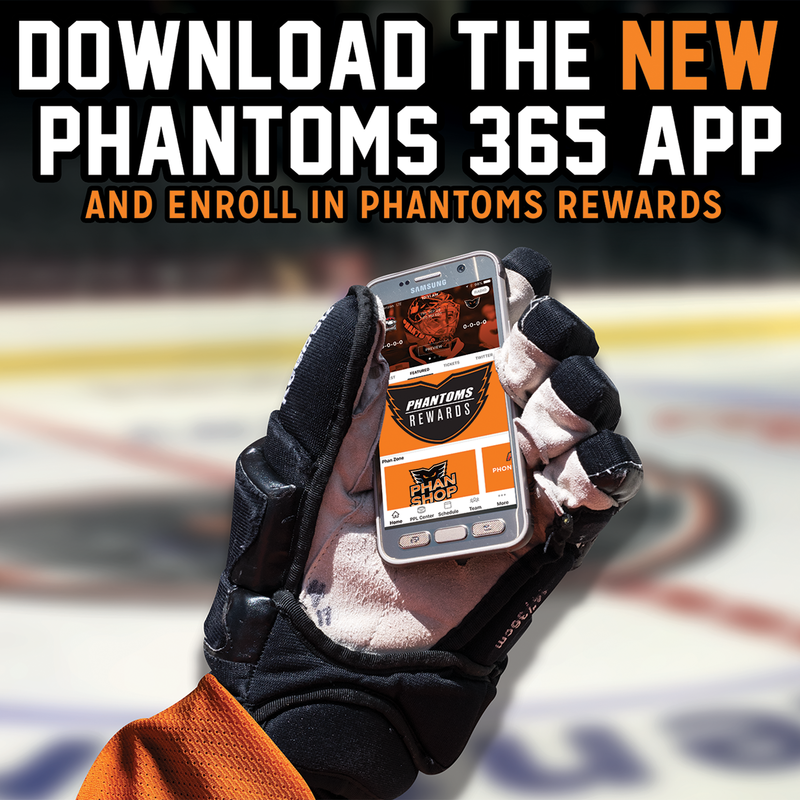 The Phantoms then wrap up their home stand on Sunday, March 29th when they welcome the AHL-leading Manchester Monarchs to downtown Allentown for the first and only time this season. 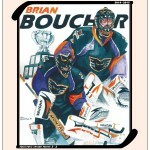 Sunday’s contest is another Legends Night as all fans in attendance will receive a FREE Collector’s Edition Poster spotlighting 1998 Calder Cup Champion and longtime Phantoms and Flyers goaltender Brian Boucher. Sunday’s game also features a post-game skate with the Phantoms. Fans are encouraged to bring their skates to the game and take the ice with their favorite players following the conclusion of Sunday’s action. 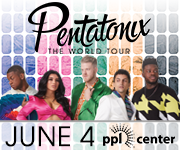 A limited number of tickets for both highly-anticipated contests are available now at pplcenter.com, by calling 610-347-TIXX (8499) or in-person at the Mealey’s Furniture Box Office at PPL Center (701 Hamilton). 1st Period-1, Syracuse, Mormina 4 (Kunyk), 11:46 (SH). 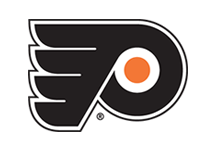 Penalties-Laughton Lv (hooking), 1:27; Witkowski Syr (high-sticking), 4:27; served by Straka Lv (bench minor – too many men), 8:30; Lynch Syr (hooking), 11:00; Mormina Syr (unsportsmanlike conduct), 19:50; Lauridsen Lv (unsportsmanlike conduct), 19:50. 2nd Period-2, Syracuse, Marchessault 20 8:45. 3, Syracuse, Koekkoek 5 (Martindale, Gourde), 10:56. 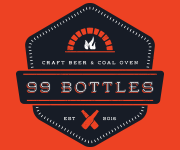 Penalties-Delisle Lv (hooking), 1:59; Cote Syr (fighting), 6:11; Hextall Lv (fighting), 6:11; Kunyk Syr (major – boarding, fighting, game misconduct – boarding), 17:33; Manning Lv (instigating, fighting, misconduct – instigating), 17:33. 3rd Period-4, Syracuse, Marchessault 21 2:19 (SH). 5, Syracuse, Courtnall 7 (Vermin), 4:47. 6, Syracuse, Martindale 11 (Courtnall, Dotchin), 8:12. 7, Lehigh Valley, Jones 7 (Comrie, Gordon), 9:22 (PP). 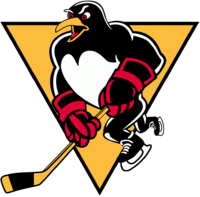 Penalties-Ashton Syr (unsportsmanlike conduct – helmet violation), 5:26; Ashton Syr (tripping), 8:50; Hextall Lv (slashing), 13:28; Comrie Lv (hooking), 16:35; Richard Syr (roughing, fighting), 18:04; Manning Lv (fighting, game misconduct – third major/second fight), 18:04. Shots on Goal-Syracuse 10-8-14-32. 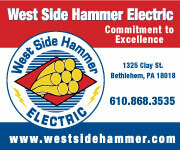 Lehigh Valley 11-5-12-28. 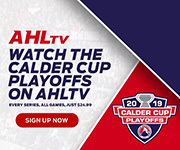 Power Play Opportunities-Syracuse 0 / 5; Lehigh Valley 1 / 6. Goalies-Syracuse, Gudlevskis 23-11-0 (28 shots-27 saves). 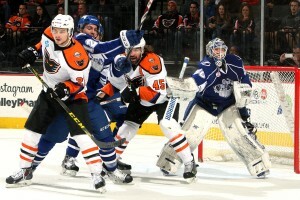 Lehigh Valley, Zepp 17-14-1 (20 shots-16 saves); Stolarz 9-12-0 (12 shots-10 saves). Referees-Dave Lewis (46), Keith Kaval (40).